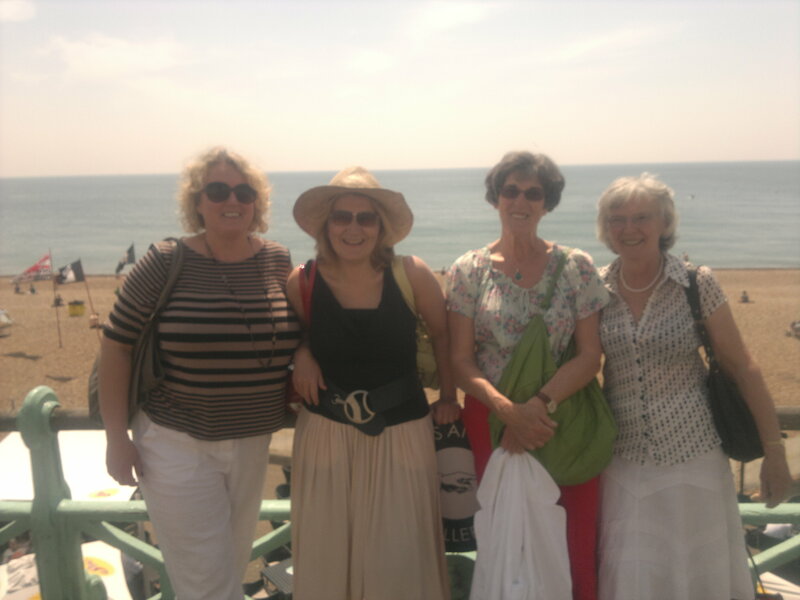 Faced with another week without chemo and temperatures ricocheting in true British style from “coldest month” to” hottest day” at speeds that would snap your neck, what else could we do than head towards Brighton for yet another treat courtesy of my Aunty Jane. 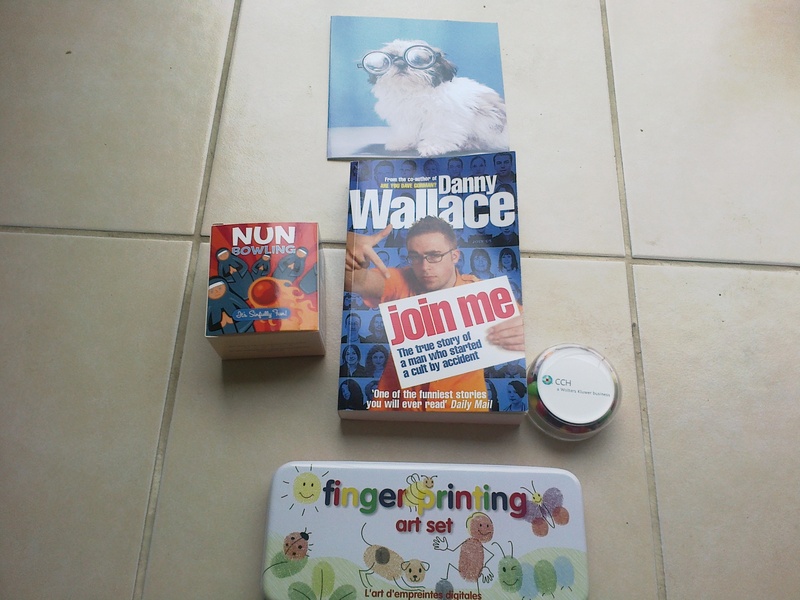 I am deeply touched by all the wonderful things my friends and family do for me. If you turn a blind eye to the hospital visits, it feels like a year-long birthday celebration. Ah a panicked voice pipes up, “ I had put 2 out but I think they are still under the bed” said Mum with open mouthed alarm. Uncharacteristically, I had bought a spare. Arrest for indecency averted. The sun was now blazing, the clock said midday, a stray dog bounced along the beach; all we needed to complete the tradition were mad Englishmen…..
“Last one to dip their toes in the sea gets a twisted ankle” so off my cousin, Becca and I, hobbled choosing an obvious spot where the sea disguised an immediate 4000 metre drop. Within seconds my hat blew off into the sea and given the choice of swimming with Lanternfish, I stood paralysed to the spot. A group of young men watched the drama unfolding and did a nano second calculation; WIFM. But seeing 2 women of a certain age with their tops on, decided they were otherwise engaged. Not so my mum who with reactions that would shame an antelope legging it from a cheetah, launched herself into the sea to save my hat, sacrificing my mobile phone to the waves in the process. One hat retrieved. One phone dead. And one Mum a bit wet! This week has been temporarily called the Cake and wine diet and so without further ado, we went for afternoon tea and demolished the lot! And today, I have completed the second leg of the challenge and sat in the sun and drunk wine with Di! Not a bad result. If that doesn’t get the little white blood cells moving they are jolly ungrateful! would you seriously save a hat like that? Always look on the bright side of life, de dum, de dum, de dum de dum de dum. Have I or have I not put you to bed before even small people this week? Have I not fed and watered you and drunk all manner of disgusting liquids to make you feel better? Have I not avoided going into places where the great unwashed go in case you get infected? Have I not taken you for daily walks and filled your lungs with fresh air? I quite accept you have been far too busy to make something as boring as neutrophils when you’ve got exciting challenges like chin hairs to grow. But if you don’t buck your ideas up, not only might I outsource you, but I might just forget to use a nice new razor next time I shave your legs. You might think you are ever so clever coinciding this latest sit in with the arrival of summer this week, but don’t forget I know you are now ‘oh so sensitive’ to sun and will burn faster than a forest fire. So if you play fair, I promise to wear a wide brimmed hat and floaty things to protect your skin if you promise to get on with making platelets and neutropils. Deal? p.s. Your 3rd and final attempt at chemo is now rebooked for 28th May so you had better scratch those jubilee celebrations from your calendar. Not so clever now huh? Up until now this finishing trait hasn’t caused me too many problems (if you count my previous marriages as challenges, not problems). But I had no idea this personality ‘defect’ would be inherited by my body, which has enthusiastically decided to do anything other than finish building its’ immune system this week. It seemed, however, to have enough time to make countless new grey hairs, layers of subcutaneous fatty tissue and excessive leg hairs. As my final chemo is now long overdue, I, or more accurately my body (we have stopped speaking to each other on account of above) has decided against returning to the chemo ward this week and after today’s shabby blood results, it is highly likely to put it off for another week. And before you ask, it’s pointless asking me to have another chat with my body about all of this. I have come to the conclusion that it’s got even worse at listening than Andrew Lansley. Yes, you are without doubt the oddest bunch of people you would ever encounter outside of a strategic planning meeting for the mad hatters tea party but I LOVE YOU! Your proven abilities to turn muddy water into crystal clear champagne has resulted in a delivery of, I think it is fair to say, unique contents which will make the world a nicer place next week! 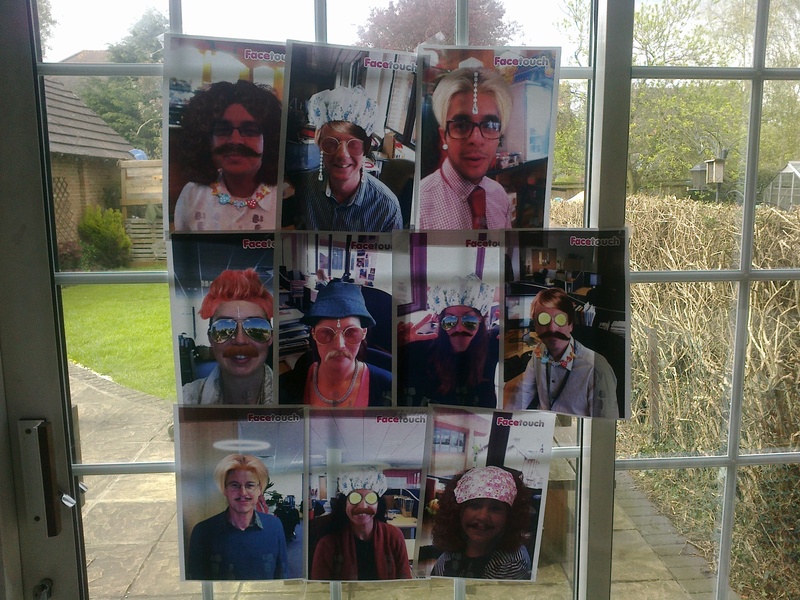 I am fortunate to have recruited and inherited a team of individuals who are utterly barking mad and these character traits have never been in more demand than when compiling a chemo celebration kit for me, along with a few photographs to remind me of their ‘special’ qualities! I need comment no further. “Rachel, Rachel, Rachel, what are you doing back here?” asked Doctor Needles this morning as if I were an alzheimer’s patient looking for somewhere nice to sit down. When I sheepishly confessed I was hoping my blood had recovered enough from Friday to go ahead with my last Chemo as planned today, he tsk’d loudly and said I would have more luck stuffing an octopus with ADHD into my handbag or words to that effect. Sadly his predictions have proved more accurate than the coalition government so far and I was packed off home to put away my balloons and celebration cakes for another week. Which means I know have an empty calender to fill and am busily taking bookings! Cancer staging and the Daily Mail? Table 8 at The Falcon in High Wycombe is fast becoming my favourite lunch spot. Glamorous it ‘aint. The inmates seem to think it most natural to drink pints at 11am, the fruit salads have as much fruit in them as beef tomatoes have beef and the wine comes out of taps, but it’s a lot of laughs and I am in danger of returning again and again like a hand to a biscuit jar! My new chemo friend introduced me to this gem and shares the same aversion as I do for support groups, but we have luckily stumbled upon our own version which is a whole lot less earnest as we spend most of the time laughing like hyenas. This week we dissected the personalities of our surgeon and oncologist after discovering we shared the same double act. I was disappointed to discover that my memory of our shared surgeon massaging my feet at the foot of my bed was more likely to be a morphine moment confused by the post surgery stockings rhythmically inflating and deflating on my legs, then the tender moment I ‘remembered’. Now as everyone is aware, the medical profession is vigorously trained to gasp silently to avoid alarming the patient, so naturally our oncologists inability to dignify a question with an answer (if you don’t count “I wouldn’t worry about that” or “let’s wait and see”), was viewed with narrow eyed suspicion. However, after playing oncologist snap, we agreed in the case of Dr W, this was less a case of deliberate suppression of bad news and more likely to be a reassuring positive personality quirk. But the biggest epiphany was the link between paper readership and cancer staging. As both of us had been Guardian/Observer readers, we concluded that had we been lifelong subscribers to the Daily Mail, our cancer would not have reached T4! The Mail’s daily dose of cancer doom/cure stories would have seen us camping out in the waiting rooms of our doctor’s surgeries demanding attention long before we eventually turned up blissfully unaware that our colons were on their knees! 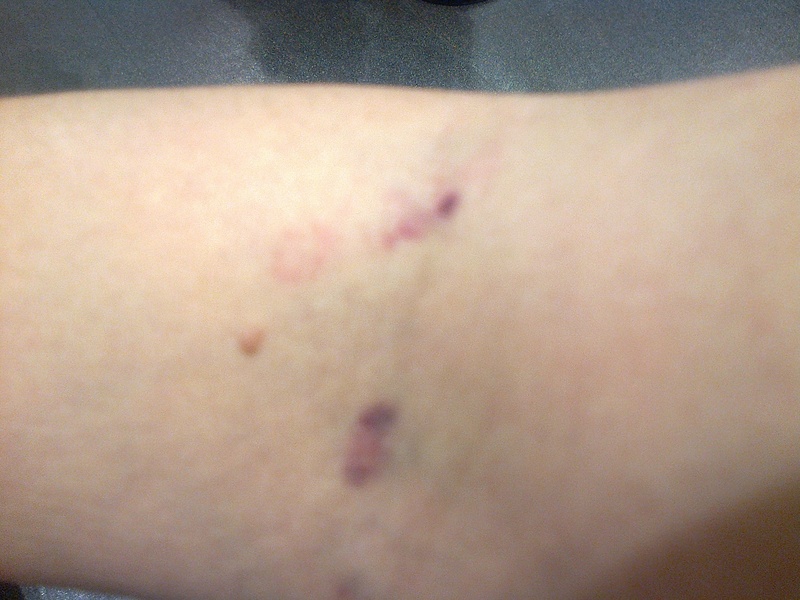 Meanwhile a visit to Dr Needles (aka the Bulgarian vampire) confirmed what I had always suspected. Not only that my white blood cells were once again on strike and my final chemo on Monday is now in jeopardy, but check out Dr Needle’s unorthodox method of extracting blood. You can’t tell me these are not teeth marks? Over the last 12 days or so I seem to have alarmingly slept IQ points out of my body. I would like to say my dog sleeping on my bed has soaked them up, but he looks as vacant as I do still. My Brain is as empty as a whistle and I am stuck in this twilight world between being sick and being really well and just need to find the strength to jolt myself back into gear! Of course I can reread my posts and listen to countless people wiser than me informing me I will start to feel normal soon, but knowing something and believing it are two very different states of mind. The best advice is to be patient and remember that nothing stays the same for long. I can see that now as I am emerging from the fog and nausea. We all live in a constant state of flux and hanging on to one state too long or worrying you are stuck with it is futile. I just need to go with it and be ready for the next phase when it comes along, as I now believe it will and make the most of it when it arrives! This is also valuable advice to any parent with teenagers! Admittedly the units of time you measure these good moments might be nearer to attoseconds (shortest time now measurable) rather than Olympiads (4 year cyles), but you get the point. Blinking during these periods is obviously not advisable. As they say “Change is inevitable. Unless you use a vending machine”.